That snowflake in the logo? 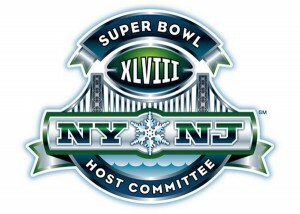 Means this Super Bowl will be unlike any other in recent history. The Super Bowl is less than thirty days away. Already, Times Square (which is just a few blocks away from our offices here at Black Enterprise) is turning into something that will eventually resemble the league’s interpretation of a football Winter Wonderland. Rumors of parties, concerts and appearances are heating up. It’s just the weather that’s staying the same. After nearly three days of deep, deep chill related to the polar vortex that’s gripped literally nearly half of the entire country, Nike on Thursday released some of its apparel it will give to non-players on the sidelines to keep warm. Photos courtesy of ESPN’s Darren Rovell.